15 Oct 2018 --- Chr. Hansen is further expanding its enzyme production and presence into the traditional segments of specialty cheeses, with the newly announced acquisition of the assets of Austrian-based ingredient supplier Österreichische Laberzeugung Hundsbichler GmbH. Hundsbichler products are widely recognized for high quality and the purchase will enable Chr. Hansen to offer cheesemakers a second-to-none product portfolio in the animal rennet space, according to the company. Separately, the company announced that it had achieved all the overall financial targets set at the beginning of the year and raised its ambitions 9-11 percent organic growth for next year. The acquisition confirms Chr. Hansen commitment to the traditional segment of animal-derived coagulants for their customers in the cheese industry. The market for traditional and specialty cheese continues to develop and the acquisition of Hundsbichler ensures that Chr. Hansen’s Food Cultures & Enzymes business is well positioned to reap future growth opportunities, says the company. While Helle Rexen, Press Officer at Chr. Hansen would not disclose the exact value of the acquisition, she confirmed that it was in the €10-15 million range, making it a minor investment for the Danish company. The acquisition price is “dependent on specific milestones which in turn depend on certain commercial targets,” she explains. “Chr. Hansen offers a solid position in the market, whereas Hundsbichler has very close customer ties and an in-depth understanding of production and sourcing of raw materials. By combining all of this, we are in a position to offer unique solutions to the market,” he explains. “We see solid demand for animal rennet going forward, as the demand for traditional cheeses is high and will continue to be. As always, the market is demanding products of high quality and merging Hundsbichler into Chr. Hansen will allow us a superior quality,” Jensen adds. The acquired business Hundsbichler, founded in 1947 and headquartered in Langkampfen, Austria, is among the leading suppliers of animal rennet to the cheese industry. 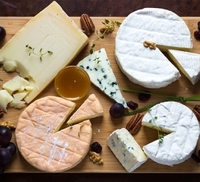 Key products include the BioRen brand ranging from mainstream products to more specialized items used for the production of typical, traditional cheeses. “There is a strong fit between Chr. Hansen’s dairy business and Hundsbichler, which is expected to provide attractive opportunities for synergies within sales, including cross-selling, supply chain improvements and innovation. These synergies are expected to be achieved in the coming two years. The assets of Hundsbichler was acquired for an undisclosed amount and comprises customers, products, trademarks and production equipment. The acquisition will not impact the financial guidance of Chr. Hansen and will only have a minor impact on sales and earnings in 2018/19,” Jensen explains. The news comes as Chr. Hansen reported achieving all the overall financial targets set at the beginning of the year and raised its ambitions 9-11 percent organic growth for next year. CEO Mauricio Graber comments: “2017/18 was another excellent year for Chr. Hansen, and we finished strongly in Q4 driven by Food Cultures & Enzymes and Health & Nutrition. We achieved all the overall financial targets that we set at the beginning of the year, in spite of currency headwinds impacting both revenues and earnings, with organic growth reaching 9 percent, EBIT margin before special items increasing to 29.2 percent, and free cash flow before special items and acquisitions increasing by 4 percent to €196 million. For the full year, Food Cultures & Enzymes delivered strong growth organic of 12 percent, performing well above the long-term ambition of growing 7-8 percent per year, while Health & Nutrition and Natural Colors delivered moderate growth and increased by 8 percent and 5 percent, respectively. 2017/18 was also a good year from a strategic perspective, the company writes. “We updated our strategy to become Nature’s no. 1 sustainably and set a new financial ambition to take us to 2021/22. We reconfirmed that the products behind 82 percent of our revenues directly support three of the 17 UN Sustainability Development Goals. We began utilizing our new fermentation capacity in Copenhagen and our three lighthouse projects each showed great progress through the year. Revenue in bioprotection grew around 35 percent and with the second-generation products showing impressive early progress,” Graber explains. Plant Health also had good results, with good traction for the newly launched products, Quartzo and Presence in Brazil. Human Microbiome saw exciting developments in two key projects – a partnership with Prota Therapeutics on peanut allergy and discovery of the potential to use a probiotic to treat side-effects from regular consumption of acetylsalicylic acid, the active ingredient in aspirin. “The key focus for Chr. Hansen in 2018/19 will be to continue to execute the Nature’s no. 1 sustainably strategy and to bring strong organic growth through innovation,” he concludes.